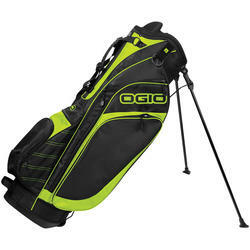 This stand bag is truly a vision of OGIO quality and innovation with two detachable pockets for easy embellishment.8-way Woode™ top.Triple Triangle suspension shoulder strap system.6 zippered pockets.Fleece-lined valuables pocket.Walking accessible water bottle holster.Hook and loop glove patch.Padded back for ventilation.Rain hood.Large detachable side pocket and ball pocket for easy decoration. 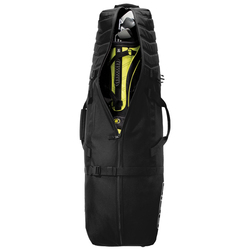 Take the course by storm with this innovative cart bag. 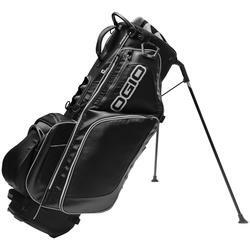 OGIO's load-equalizing SHOXX™ X4 full-suspension system and advanced molded SHOXX™ shoulder pads equip the Orbit for extreme comfort.9.5" Woode™ top with integrated grab handle and oversized putter pit.ZBP™ (Zipperless Ball Pocket).Low-profile OGIO Ball Silo™ (ball dispenser).Cart strap channel.6 zippered pockets.Weather-resistant fleece-lined valuables pocket with cell phone sleeve.Walking accessible insulated water bottle holster.Scorecard/range finder/GPS sleeve.Pen sleeve.Divot tool sleeve.Tee holder.Large detachable side pocket for easy decoration. 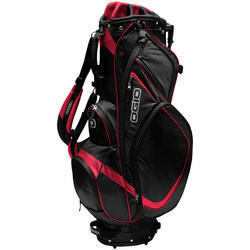 With nothing to weigh it down, this stand bag helps you stay organized on the course.7-way top.Full-length club dividers.Fleece-lined valuables pocket.4-point double shoulder strap system.Walking accessible water bottle holster.Hook and loop glove patch.Padded back for ventilation.Rain hood.Detachable side and ball pockets for easy decoration.